Discover the Waterberg – one of the world’s last unspoilt wilderness areas. The Waterberg is best known as a bushveld wildlife destination with a wonderfully wide range of species andhabitats on offer.Imagine 8000 sq km of savannah for you to enjoy…The Waterberg Biosphere Reserve stretches from Marakele National Park in the south west to Wonderkop nature reserve in the north-east. 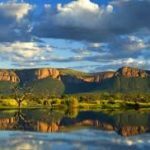 Ringed by escarpments on three sides, the Waterberg forms a wide basin in which four of the main rivers in Limpopo originate. The landscape is one of rolling hills and endless vistas, with a distinct bushveld feel. 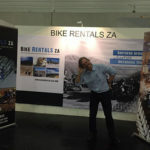 This region is a magical part of South Africa and offers experiences that are as diverse as there are many: wide open spaces with a rare wilderness quality, the romance of true bushveld, a rich biodiversity, and close encounters with some of Africa’s most charismatic and sought-after wildlife. You will discover fascinating people, places landscape and sought after wild life while on youradventure tour ride. The Waterberg can best be described as a large ‘inverted saucer’ stretching from Modimolle and Mokopane in the east. Within the central core is a vast basin plateau dissected by numerous rivers, principally the Mokolo which rises in the southern hills and the Palala (Lephalala) which rises in the south-east. 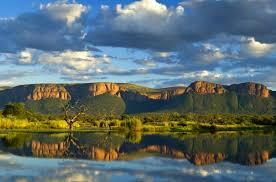 The plateau that makes up the Waterberg consists of a thick sequence of conglomerate and sandstone.